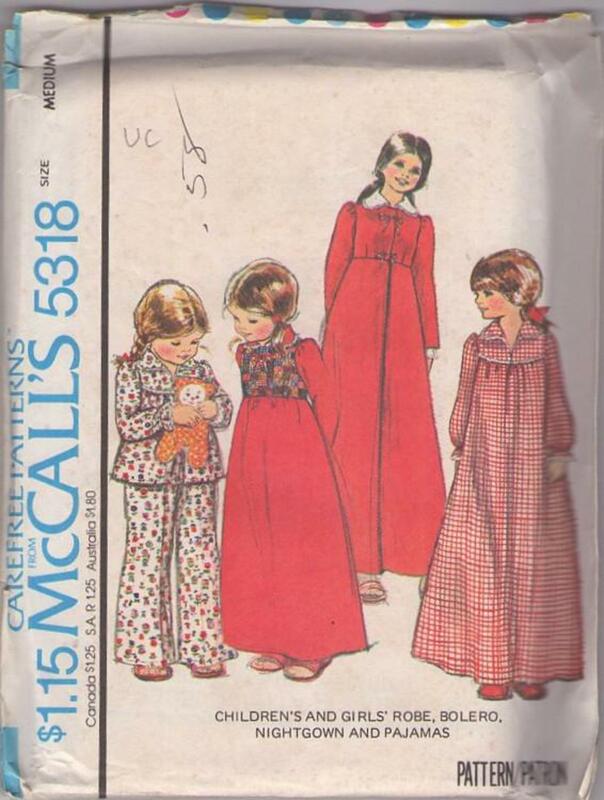 Bust 27-28.5", Waist 23.5-24.5", Hips 28-30"
1975, 70s Childrens, Retro Sleepwear Clothing Patterns - High waisted robe with lined bodice or lined bolero has snapped front and ribbon ties. 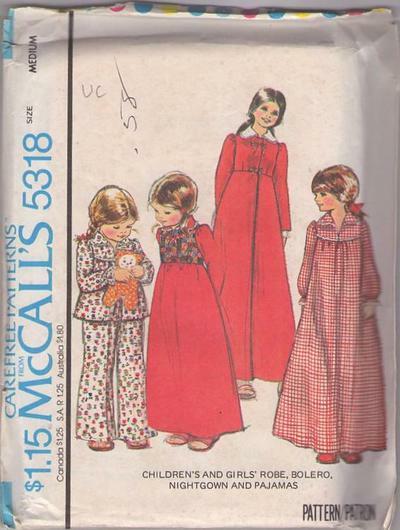 Yoked nightgown or pajama top has ruffling, buttoned front vent and elastic in wrist casings. Pants have elastic in waistline casings .